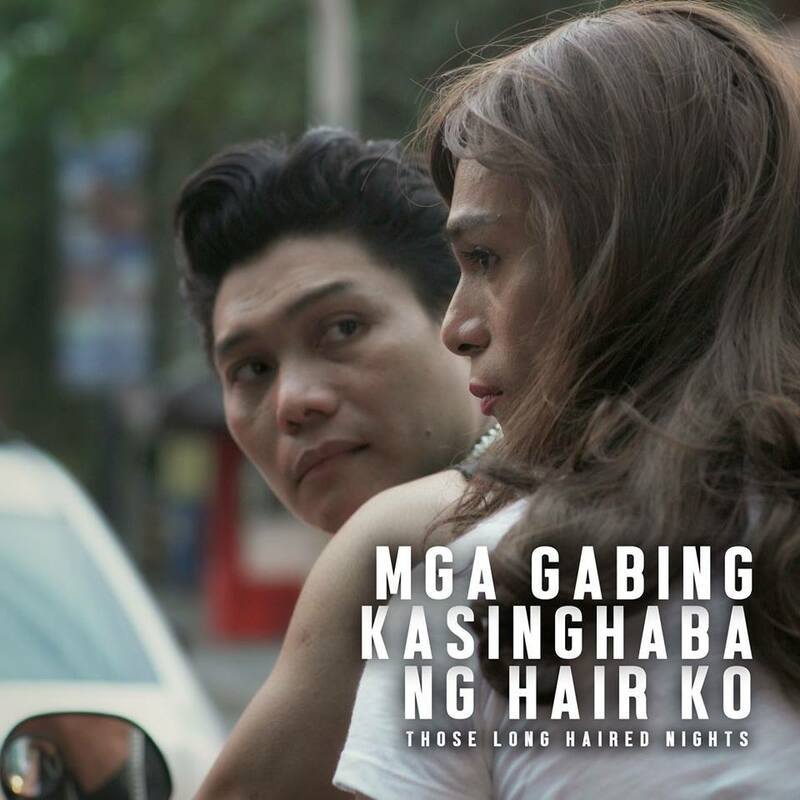 Loosely based on true events, three transgender women — Hopeless romantic Tuesday, wise Amanda and recklessly ambitious Barbie — share a chaotic night of misguided love, a christening and drug dealing on the road to realizing their dreams in Manila’s red light Burgos district. THOSE LONG HAIRED NIGHTS is lushly photographed under the neon backdrop of Manila nights, with tour-de-force acting from the entire cast. Tickets and flash passes can be purchased at the HIFF Box Office or online at HIFF.org. CLARK FREEPORT — The government on Monday declared an end to fierce urban warfare in Marawi after troops killed the last pro-Islamic State (IS) terrorists who seized the city five months ago to establish an enclave of the Middle East-based jihadi group in Southeast Asia. For more details, please see article . 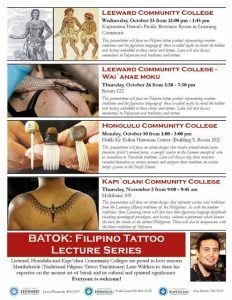 Everyone is invited to attend this event – “Batok: Filipino Tattoo Lecture Series” at selected UH Community College Campuses from October 25 to November 2, 2017. Come and listen to Lane Wilcken, Traditional Filipino tattoo practitioner. For more info, click on the flyer below . Please contact Prof. Leon F. Florendo or call the number listed below.